Recently i have written an article about the update in Google's Chrome browser, which disables the installation of an extension or script from outer source other than Official Chrome Web Store. 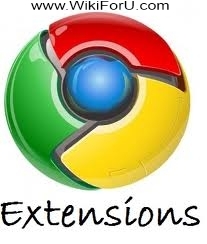 Thus users can only install and use applications, extensions and games from Official Chrome Web Store. I have given a method by which we can install any required extension, application, Game or script from unknown sources and websites like Greasemonkey and userscripts. But don't worry, i am here with a new working method or tweak by which we can bypass this restriction of Chrome browser forever. By using this tweak we can Enable the installation of custom scripts, apps and extensions from unknown sources.The advantage of this method is that we have to do this tweak once and after that, we can enjoy adding scripts, extensions or applications from unknown sources forever. Lets do the tweak. This tweak is working for Windows. If you are a Mac user or Linux user then you can read the other method of adding scripts to chrome browser. Now go to properties. A new windows will open and you will be on shortcut tab. In front of target, find a long command line pointing to chrome.exe location. Now restart your browser for the changes to take affect. After restarting your browser you can simply install or add any script, extensions, apps and games from unknown sources.